Well, as the song goes, School’s out for Summer!! or almost. Now it time to make your summer travel plans. We certainly hope The Rosevine Inn Bed and Breakfast will be included in those plans. Spend a couple of days with us. Rest and relax in the “hang out” room upstairs in the barn gameroom. Swing your cares away in one of two hammocks. Kicking Off is Canton First Monday weekend. may 31 through June 2. Always lots of great shopping. 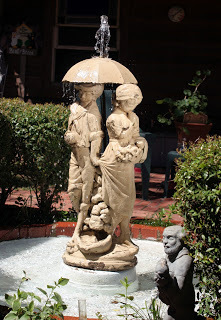 A really great thing On June First for the garden lovers or not! A unique opportunity to view five private gardens and landscapes in Tyler TX. 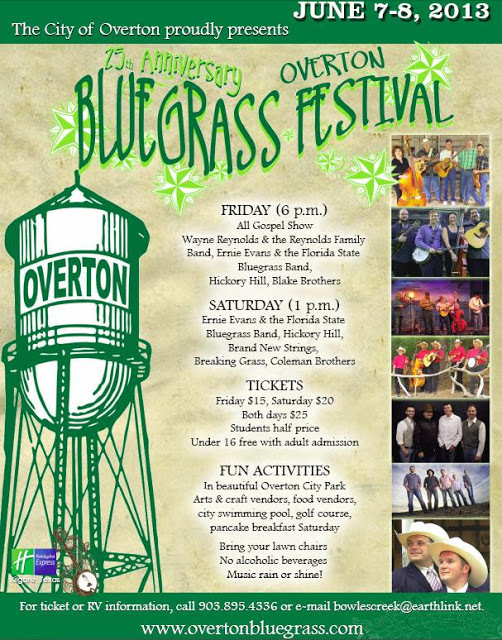 Advance tickets $10 each, on sale in Tyler at: Brookshire’s Grocery – 100 Rice Road; Potpourri House – 3320 Troup Hwy. ; Blue Moon Gardens – 13062 FM 279, Chandler; Rubicon Wild Birds – 19456 Hwy. 155 South, Flint; and Extension Office – 1517 W. Front, Suite 116. The Tyler Farmers Market will be open every Tuesday, Thursday, and Saturday beginning May 4, 2013. Hours are 7am-1pm. In addition to fruits and vegetables, the new market will feature local artists, musicians, and nonprofit organizations. Showing at the Liberty! SCI FI!! 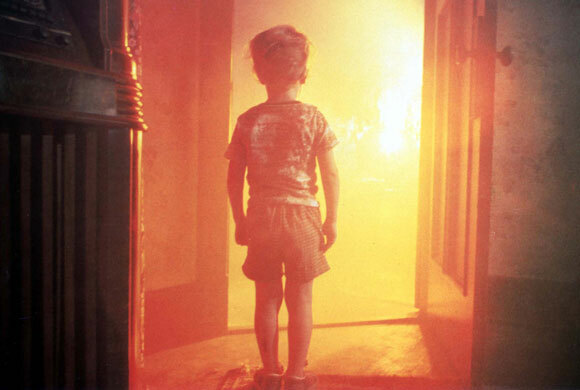 Close Encounters of the Third Kind (1977) June 6 at 7 p.m.
Roy Neary, a cableman, is sent out to investigate a power outage when his truck stalls and he is bathed in light from above. After this, strange visions and five musical notes keep running through his mind. Will he find the meaning of the visions, and who – or what – placed them in his mind? … The US Government determine where the visitors plan to land and create an elaborate cover-up to keep people away. However, a group of people, including Neary, share a vision which draws them to the place and a meeting with new, and old friends. 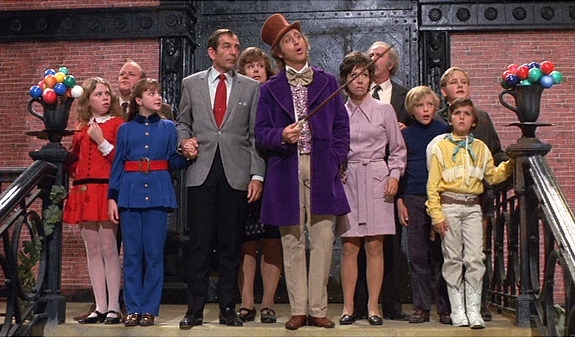 Wizard of Oz has been pulled from viewing by Warner Bros. so we are bringing Willy Wonka in it’s place. Sorry for the inconvenience. June 8 at 3 p.m.
June 13 at 7:00 p.m. It is the 23rd century. Admiral James T. Kirk is feeling old; the prospect of accompanying his old ship, the USS Enterprise–now a Starfleet Academy training ship–on a two-week cadet cruise is not making him feel any younger. 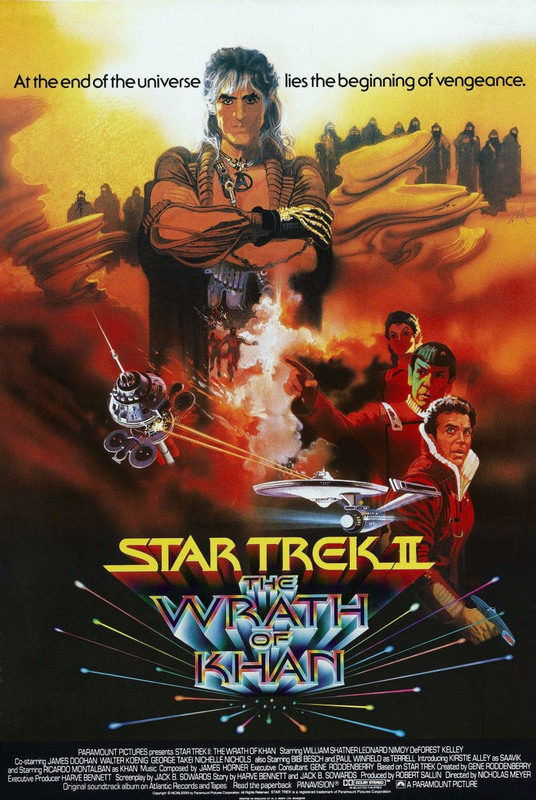 But the training cruise becomes a deadly serious mission when his nemesis Khan Noonien Singh–genetic conqueror from late 20th century Earth–appears after years of exile. He begins capturing Project Genesis, a device holding the power of creation itself, and schemes the utter destruction of Kirk. Both nights start at 8 p.m. 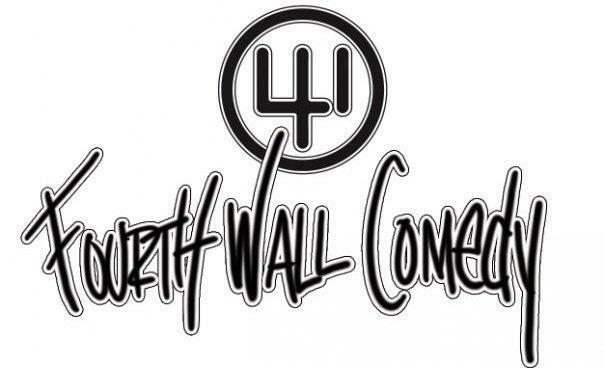 The event is organized and produced by Tyler comedians Jamey Whitley, Brandon Davidson and Tyler Elliott. 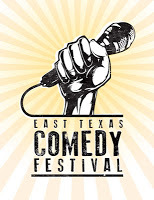 Kicking off the festival Friday night is host Tyler Elliott and the return of last year’s winner of the title “2012 East Texas Funniest Comic”, Tyson Faifer. This year’s contest features nine standup comics who were chosen by a panel of the festival committee from over 30 submissions. Each comic will have five minutes to win the crowd over. The audience will vote for who they believe is the undisputed “East Texas’s Funniest Comic”. While votes are being tallied the audience will be engaging in the unpredictable improv comedy style of Tyler’s own Card 53, who rely on their “off the cuff” brand of humor and audience participation. And then we welcome Brandon Davidson. Brandon’s comedy spans from personal subjects to social commentary. He is a husband, father and disappointment to his parents and others. His stand-up comedy has been called, “intelligent, honest and super-duper adorable, just like him.” He’s a great cuddler and once urinated beside former President Bill Clinton movie theater during a showing of the smash hit Encino Man. 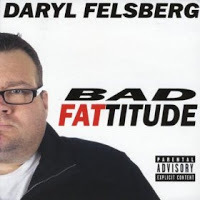 You may have seen Daryl at: Bally’s Las Vegas, The Gold Nugget Las Vegas, The Laugh Factory Los Angeles, Laffs Comedy Cafe Tucson AZ, Hyenas Comedy Club Dallas & Fort Worth, Texas, Funnybone Comedy Clubs. More at the Liberty later this month! Check back soon!! $40 Golden Circle$100 Upstairs Lounge Don’t Want To miss This One! early 1900s, when our tasty tomatoes were shipped across the country in state-of-the-art refrigerated rail cars. Nowadays, people from all parts still know a trip to Jacksonville will procure a box or two of our famous tomatoes. In celebration of our renowned crop, visitors arrive for the annual Tomato fest, held every second Saturday in June, just as the tomatoes ripen. Tomato Fest welcomes festival-goers to gather tomatoes to take home, anticipating their transformation into relishes, salsa, stews and more. The festival boasts over 26 various activities for the entire family to enjoy. Activities include: Motorcycle, Tractor and Antique Car Shows, Various Tournaments (fishing, soccer & tennis), Arts/crafts/information Booths, Food Court, Farmer’s Market, Salsa Contest, Tomato Shed Tour, Kiwanis Club Auction, Tomato Shoot, Tomato Eating Contest (celebrities & kiddos), Live Entertainment, History Display, Tomato Peeling, Tomato Mashing Contest and many Kids’ Activities. On June 12, 2010, the festival and its celebrated centerpiece even garnered Jacksonville a starring a role on the television show “Glutton for Punishment”. More than 150 local volunteers, alongside TV personality, Chef Bob Blumer, raced the clock to craft the world’s largest bowl of salsa, certified by Guinness World Records. This isn’t just any old summer camp! This is Pine Cove Christian Camps located near both Tyler, Texas and Columbus, Texas. Pine Cove, one of the most renowned Texas summer camps, gives you the chance to experience the great outdoors along with the comfort of quality facilities! Pine Cove’s Youth Camps, Family Camps, and Day Camps offer crazy theme nights and fun activities such as paintball, wakeboarding, horses, and ropes courses, but our ultimate desire and hope is for people’s lives to be transformed through the love of Jesus. Our staff desire to build relationships with each camper and challenge them to grow intimately in his/her walk with the Lord. What better way to spend a week or two of your summer? Located in East Texas, Rockin’ C Ranch is located on 150 acres, including their own 10-acre private lake, between Dallas, TX and Shreveport, LA. and its rolling hills provide a great platform for ranch life. Rockin’ C Ranch is a summer camp on a true working ranch. At Rockin’ C, there are traditional camp activities like swimming, canoeing and ziplines combined with unique hands on engagement like cattle drives, collecting eggs, digging holes for fence posts and building picnic tables. Campers really get some of what they’ve lost in this highly technical and fast-paced world — the chance to do some physical labor, build conversation skills while they’re working, and understanding more about life… in a fun and loving environment. 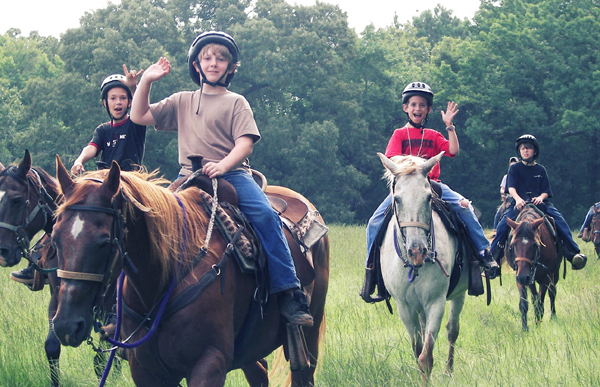 This is a summer camp on a true East Texas working ranch. They have great (and unique) activities, plenty of land, super food, and a wonderful caring staff. 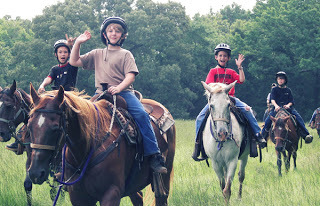 Traditional camp activities like swimming, horse back riding, canoeing, high ropes course, combined with unique activities such as cattle drives, collecting eggs, bottle feeding calves and building picnic tables. The activities are awesome, but they will personally grow and develop while at camp. Their self-esteem will shine under the mentoring of incredible college-age role models. While the kids have a lot of fun, they also are learning some great life lessons and building character. 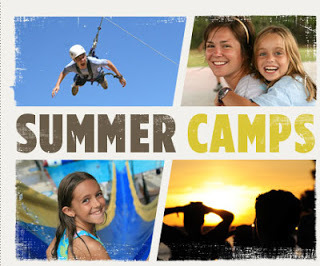 The Ultimate Kids CampFirst of all – welcome to Camp Huawni…the kids camp that’s been reinventing summer fun since 1965! We’re head over heals that you’ve found our site and think it’s cool that you want to learn more about what many of your friends consider the best kept summer camp secret of all time. Enough of the hoopla — we’d rather just give you a one-minute snapshot of the magical place we call Camp Huawni! Camp Huawni is THE summer camp of all summer camps in Texas that you will hate leaving. For nearly half a century, Camp Huawni has specialized in good ‘ole fashion fun.” In 1965, founder Earl Adams, known around here as Daddy Earl, turned his life-long dream of starting a kids camp into a reality. As a life-long educator, Daddy Earl noticed that kids, just like you, weren’t experiencing fully the joys of “just being a kid” in the structured environment of K-12 school. So, with some pine planks, a hammer, and a hill-top view once scattered with sugar cane, Camp Huawni was born. Now, three generations later, the Adams Family continues to reinvent fun just for you. Over-The-Top Summer Camp CounselorsSo what keeps your friends coming back to Huawni like aKrispy-Kreme donut? Other than the fact that we’re experts at fun, we provide an electrified environment for friendships to flourish, and we do it with over-the-top counselors. Just think – you have this cool, college-aged older sister or brother who actually bugs you to play with them. That’s really how it is, and they love you just like you are…you don’t have to pretend to be popular or someone you’re not. The Next blog we will talk about The Texas Shakespeare Festival. Yes we have a world renowned Festival right here in East Texas! It will be time for fireworks shows and our country’s birthday at the end of the month, Canton Trade days will roll around again, and, since it will be a little slow for the festivals, we will feature a couple of restaurants in the are and a couple of ongoing music venues. 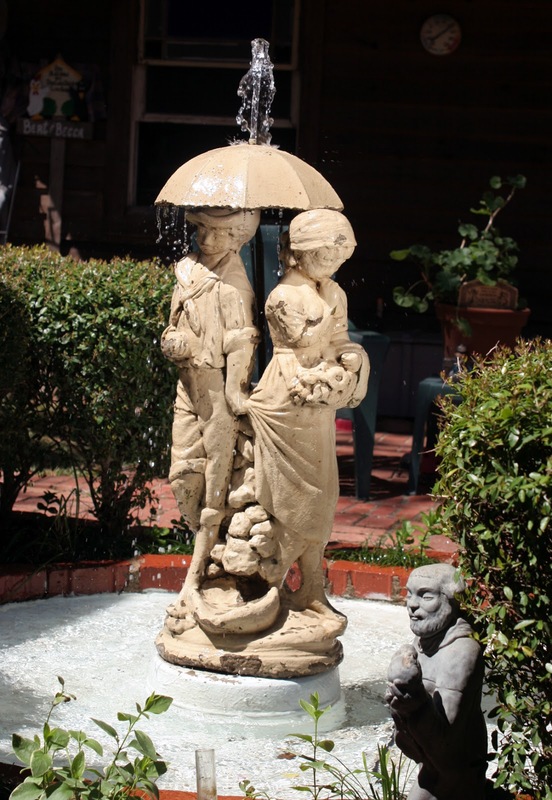 Come visit Tyler, East Texas, and The Rosevine Inn Bed and Breakfast!! Fires will still burn nightly for a few more days!! and breakfast will still be served daily. This entry was posted in Uncategorized and tagged Canton Trade Days, Rosevine Inn, Summer Camp in East Texas, Texas Shakespeare Festival, Tyler Things to do by admin. Bookmark the permalink.